What Every College Student (and Parent) Should Know About Insurance ~ E C Cooper, Inc. 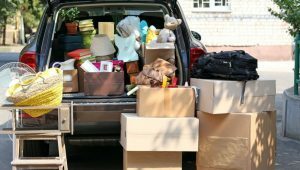 When a student moves to college, she or he often brings many belongings from home. In addition to clothes, shoes, and toiletries, most college students take stereo systems, cell phones, laptops, jewelry and other valuable items to their dorm room. At home, possessions are protected under a homeowners policy. But what happens when a child is away at school? 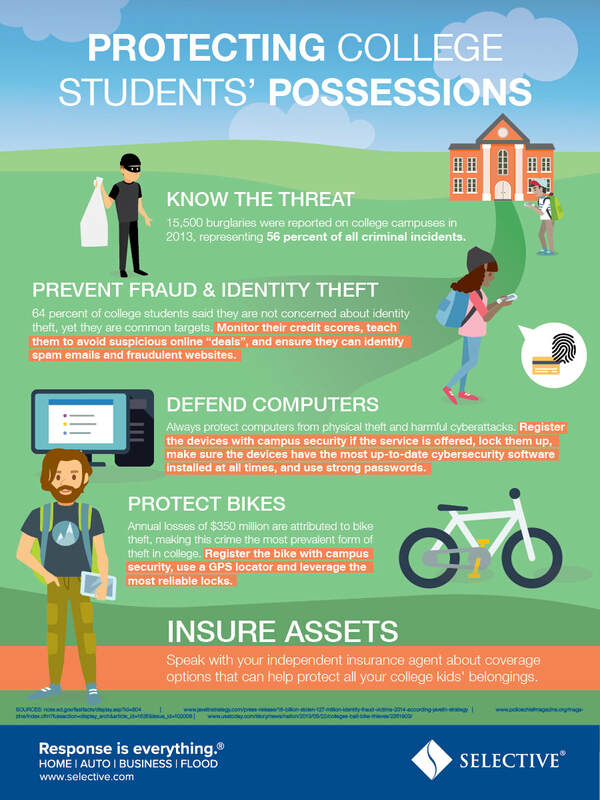 ​In an environment where theft is a real problem – there are approximately 798 burglaries for every 100,000 students – proper coverage is important. For students living in dorms, the family’s homeowners insurance can protect many possessions. But don’t take this for granted. Be sure to contact your insurance agent to verify the coverage you may already have. Some policies limit coverage on dependents’ dorms to 10% of the value of the home’s total coverage amount. So be sure you know the coverages for your homeowner’s insurance policy. Students living off-campus should consider renters insurance (as should anyone living in an apartment) for coverage of their personal property such as stereos, televisions, furniture and other possessions. Coverage on most homeowners policies is limited to dorms, not other forms of student housing. So a renter without a stand-alone policy might not have any protection at all. Renters insurance costs average $190 per year, according to the Insurance Information Institute. This coverage can provide peace of mind by providing protection not only for personal possessions but also for liability and additional living expenses, especially for those on the cusp of adulthood. Students who will be commuting from home to college may also want to reconsider their coverage, especially if they are driving long distances. Check with your insurance agent about what coverage is needed. ​College can be an exciting time for students across the country. The right insurance coverage can help protect students while they pursue the American dream of higher education. This article is republished with permission from Selective Insurance Group and originally published on Selective. EC Cooper, Watkins Glen, NY 14891.